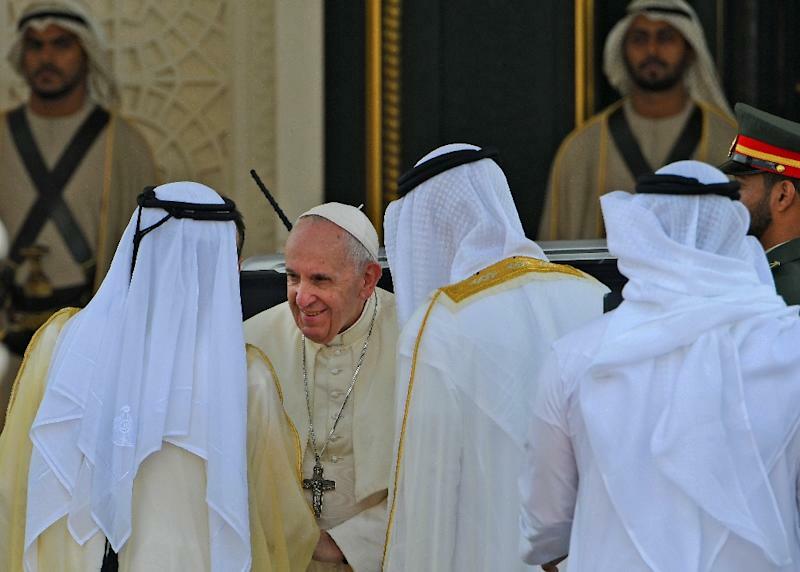 Abu Dhabi (AFP) - Pope Francis and a top Muslim cleric Monday issued a joint call for freedom of belief during the first visit by the head of the Catholic church to the birthplace of Islam -- the Arabian Peninsula. 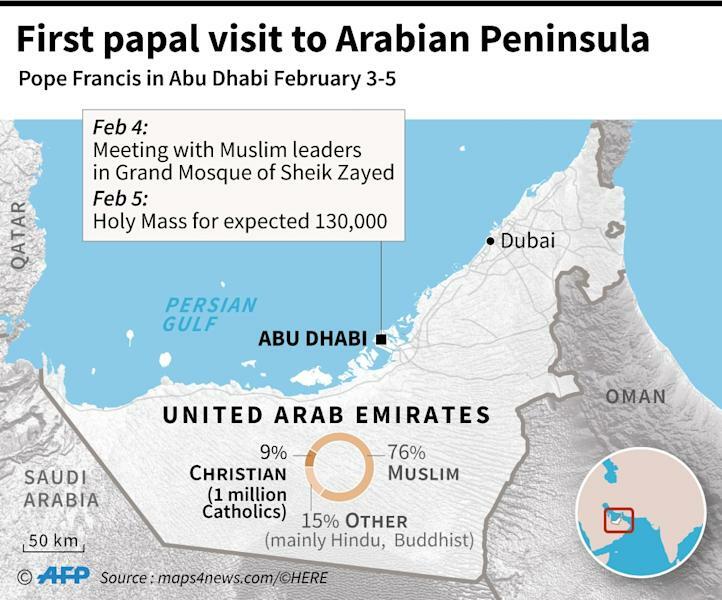 He is due to hold an open-air mass on Tuesday for 135,000 of the Muslim country's million Catholic residents, set to be the largest ever public gathering in the Gulf state. 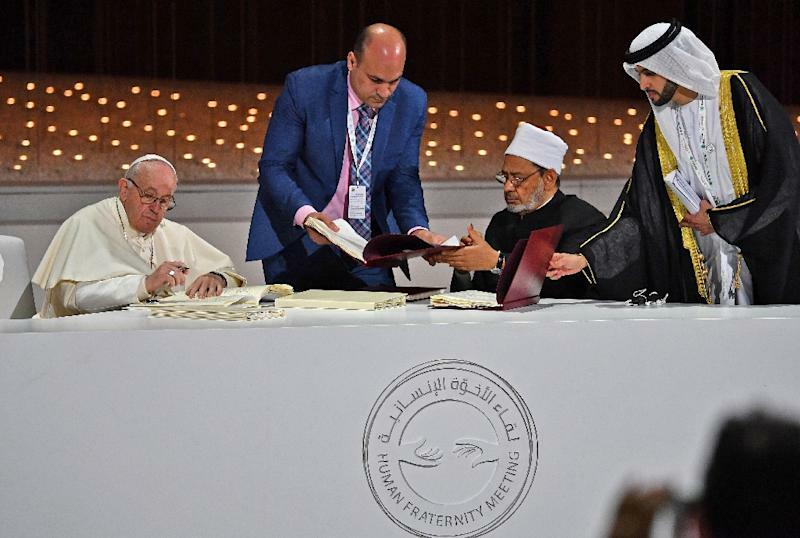 On Monday, the pope held talks in Abu Dhabi with Sheikh Ahmed al-Tayeb -- imam of Cairo's Al-Azhar, Sunni Islam's prestigious seat of learning. "It is... crucial to establish in our societies the concept of full citizenship and reject the discriminatory use of the term minorities which engenders feelings of isolation and inferiority," read the document. Yemen is the scene of what the UN calls the world's worst humanitarian crisis, triggered by the intervention of Saudi Arabia, the UAE and their allies in a war between the government and Huthi rebels. Pope Francis in turn gave him a framed medallion of the meeting between St. Francis Assisi -- the pope's namesake -- and the Sultan of Egypt Malek al-Kamel, in 1219. The Emirates has dubbed 2019 its "year of tolerance" but rights groups have criticised it for its role in Yemen, where an estimated 10,000 people have been killed since the Saudi-led alliance the government's fight against the Huthis in 2015.